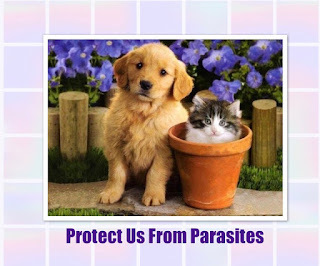 Has your pet had a bout of worms, giardia or parasites? Puppies and kittens are especially vulnerable. Parasites, giardia and worms can create inflammation in your pet’s intestinal tract even after the medication has been completed. It’s important to help heal the intestinal lining to prevent recurrence and chronic gastrointestinal problems. Using Power Probiotic and Colostrum for Pets during or immediately after treatment for worms or parasites can help repair the intestinal lining and prevent recurrence. Please note that these home remedies are not a substitute for the pet medications that kill worms and parasites but should be used in conjunction.